Have you adopted a leadership mindset? ‘Leadership is a lonely place’. If you don’t believe me then do a google search on the phrase ‘Leadership is a lonely place’ and see how many references come up (over 2 million when I did it). It is also the case that whilst some people eagerly step forward into leadership (Karen Brady, Barak Obama, Richard Branson all come to mind), there are those who end up leading by default. Some perhaps not stepping back quickly enough when the need arises, some might say this describes Theresa May’s appointment to PM in the UK following the Brexit referendum. The point is, however you get to be in a leadership position, the real challenge is what you do once you are there. This involves first recognising you are a leader, then accepting accountability for your behaviour and finally adopting a mindset that will enable you to maximise your leadership effectiveness. Even if you do not formally sit in a leadership position within your organisation you may still find you are a leader. Leadership can come from having insight, knowledge, skills, personality traits, experience, opportunity, or personal attributes which set you apart from those around you and cause others to look to you for leadership. If finding yourself in a leadership position leaves you feeling uncomfortable then perhaps examine what your own perception of leadership is and where these ideas come from. If this is you then ‘Is Leadership a Dirty Word in Your Organisation’ may be an interesting read. It may be helpful to see Leadership is an opportunity to make a difference, to enable others to be the best they can be, to inspire them to great achievements and to create an environment where people can flourish and succeed. Far from challenging your values, you can fashion your own approach to leadership around your values to create a leadership brand that is true to you. For more on this see ‘Creating your leadership brand’. How you respond as a leader sets the tone and culture for those you lead. You become a role model, this is a responsibility you cannot escape. Not only that, being a role model is less about what you say and all about what you do. This is problematic as we humans can be prone to making rash decisions, displaying, vulnerability, anxiety, fear, hurt, anger and so on. Furthermore, the sign of a great leader is not what they do when the going is good, but how they conduct themselves when all is going to hell in a handbasket! For more on this see ‘Leader or reluctant role model?’. Often we use phrases like ‘he made me mad’, ‘she instigated it’ and so on. The truth is we have a choice about how to behave and how we respond to others. Leadership development frequently focuses on self-awareness as a crucial step in enabling Leaders to identify their emotional triggers and default response patterns, so they can take conscious decisions about when they may need to adapt their response to others and to situations. The emotions of those who lead can impact those being led, positively and negatively. Emotional contagion is where we catch emotions from other people through a process of reading micro expressions and mimicry. Where a leader is positive then this will also benefit those they lead, but displaying negative behaviours can have far reaching implications not just for the motivation of those being led, but also for their health. For more on this see ‘Why managers must manage their own negativity’. There are many courses, books and competency frameworks aimed at further developing leader’s skills and behaviours. But great leadership is not just the sum of outward appearance, what others see us do, it is also about what goes on inside, the values, ideas and beliefs that shape our behaviours and influence how we apply the skills and knowledge we have. This can be described as our mindset. So if mindset is important, what are the components of an effective leadership mindset? The MindSightUK Leadership model ‘The Mindset of Successful Leaders’ has been developed from our work coaching over 100 leaders across different sectors, our academic research, our own business experience and by reviewing numerous leadership guidance and theories. This model summarises the mindset which, in our experience, the most exceptional leaders possess. Also, whenever I hear a leader describe a challenge or issue they are struggling with, typically, the problem can be traced back to a blind spot in one of these 5 areas. Self-awareness involves not only understanding yourself and how you react to others, or to situations, but also your impact on other people, your emotional intelligence. Renewal is about taking care not only of your knowledge and skills, but also being mindful and nurturing your physical, emotional and spiritual self. By spiritual I am not referring to a religious context (although this fits here too), I specifically mean spiritual as in art, nature, music, creativity and so on. Many struggle with ambiguity when they step into the leadership space, worrying that they should know the answer to all the questions before they are even asked. However, it is not possible to spend the majority of your time being hands on, cramming the detail, if you are trying to lead others. You are being paid to set the direction, scan the horizon, keep abreast of challenges, looking upwards and outwards, motivating and stretching others to be the best they can be. These things are not possible if your nose is glued to a spreadsheet. Ask yourself who you would like to work for. Is it someone who knows all the answers and tells you what to do, or someone who is curious to explore your ideas and stretch your thinking? A passionately curious leader focuses on outcomes not outputs and process. They get passionate about possibilities, looking for solutions to problems with a ‘how can we’ rather than a ‘we can’t attitude’. They ask great questions and seek to understand how the world looks from others perspectives. Outstanding leaders also relish developing others. This enables them to capitalise on others abilities and create an environment in which others can flourish. Having people around you who can get on with the job, be proactive and take decisions, releases you to focus on future business potential, seek new opportunities and set the direction of the business. A leader who is able to focus outwards and upwards can ensure the business stays ahead of the game rather than playing catch up with competitors. Finally, this article began by saying leadership is a lonely place. Great leaders value relationships with others. They realise they do not know all the answers, nor can they see or understand all the information available (there is just too much). Also, they are busy people who certainly don’t have the time, capacity or energy to do everything themselves. Therefore, they see the benefit of seeking out, building and sustaining trusting relationships in advance of problems arising or help being needed. They adopt a ‘pay it forward mentality’, showing genuine interest and concern for others, operating from a values driven perspective, enabling others to trust and value the relationship. This article has highlighted some of the key elements at the heart of great leadership and introduced you to the MindSightUK model ‘The mindset of successful leaders’. If you are in a Leadership position, seeking a leadership role or responsible for developing leaders, this article has aimed to provide you with some ideas for inspiration and reflection. 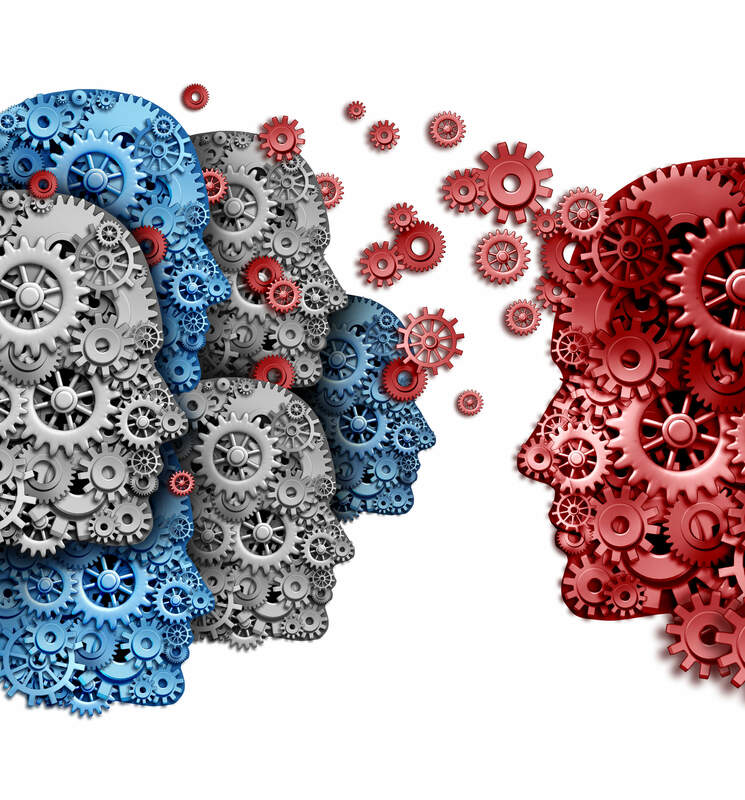 For further leadership resources explore our blog or contact us on info@mindsightuk.biz. 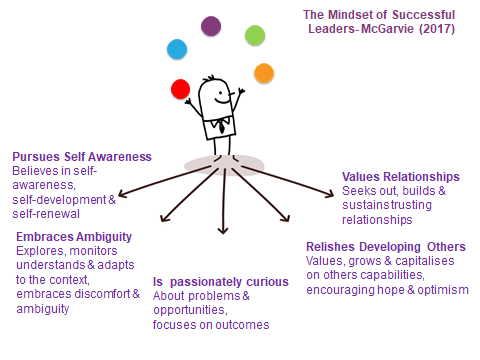 For more on the Mindset of Successful Leaders model see ‘Exploring the Leadership Mindset’.